There are different types of car air purifiers in the market. Knowing the specifications about each type will help you choose the best one for you. Ozone Based purifiers are good at removing odors such as tobacco smoke. By emitting ozone to interact with particles, odor-causing substances will become odorless. 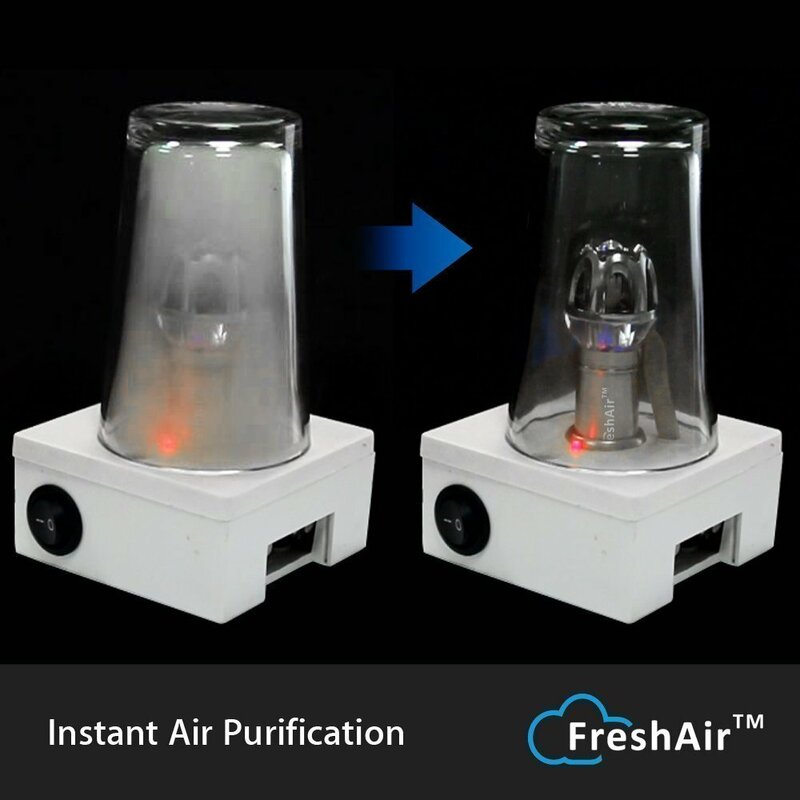 However, this type of air purifier is not recommended for long periods. Exposure to high levels of ozone is harmful to your health. 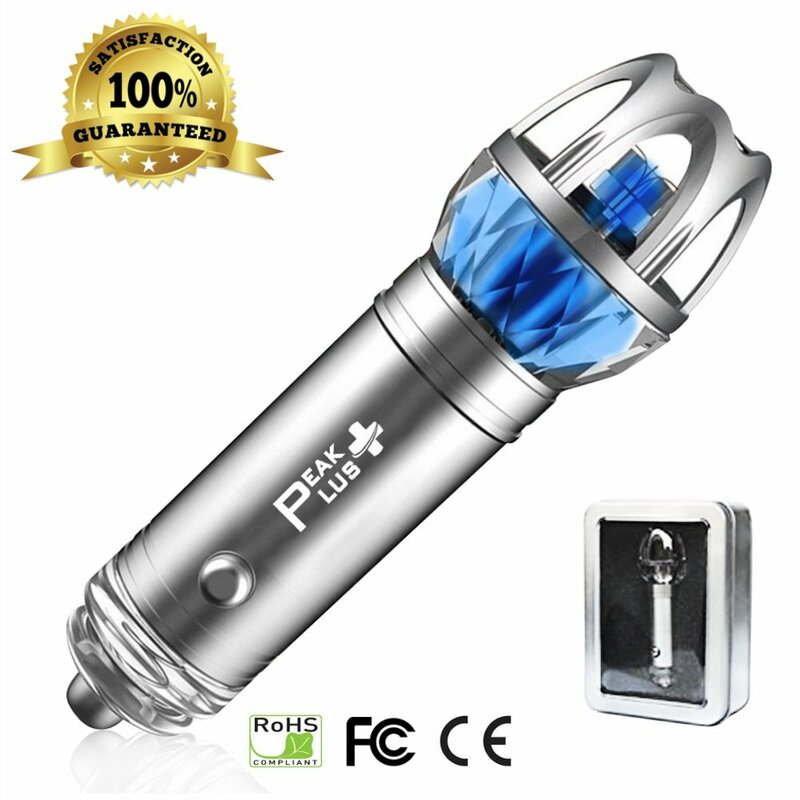 If you’re going to choose this type of car air purifier, choose one that also generates beneficial negative ions. Check the product details and make sure that ozone is less than 0.05 ppm (< 0.05 ppm). 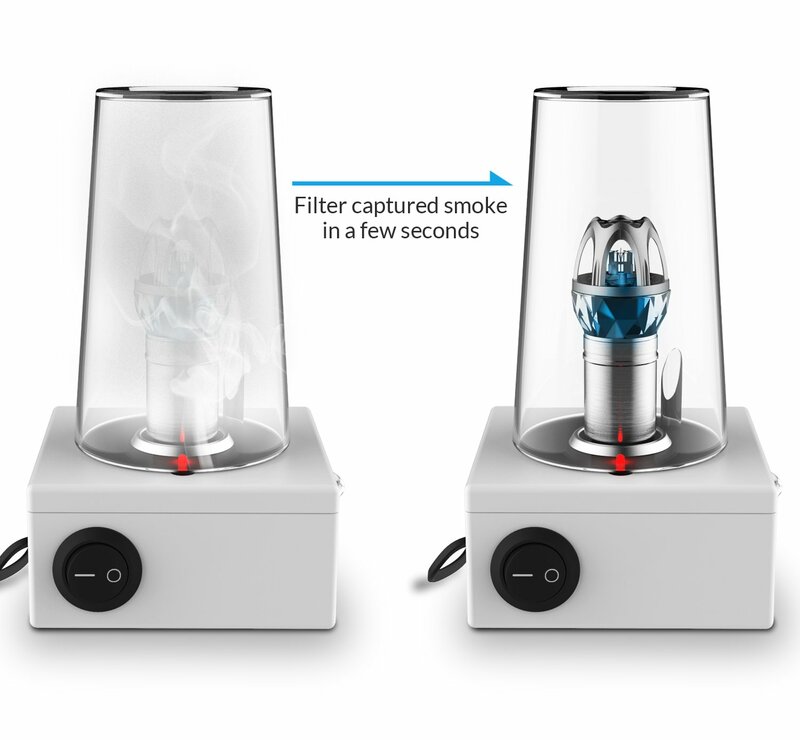 Ionic air purifiers can be plugged into your cigarette lighter slot. They don’t necessarily filter the air. Instead, they emit negative or positive ions that stop ionized particles of allergens and odors from floating around. The particles won’t be floating around your car but stick to surfaces or each other. However, be careful when purchasing these car air purifiers. Make sure to check if they have negative ions and not ozone. Some car air purifiers are equipped with substances such as baking soda, activated carbon, and pumice stones to soak up the bad odors. These are normally found in cabin air filters. Cabin air filters are installed in your car’s air vents to prevent allergens from entering your car. They help filter out particles such as allergens and air pollutants to help improve breathing. Car air purifiers and car ionizers also help normalize the air, especially in cold weather. It also prevents you from inhaling dust particles from the air outside. It helps remove bad odors and air contaminants, leaving your car fresher and cleaner. Children are the most vulnerable when it comes to allergens and dust. 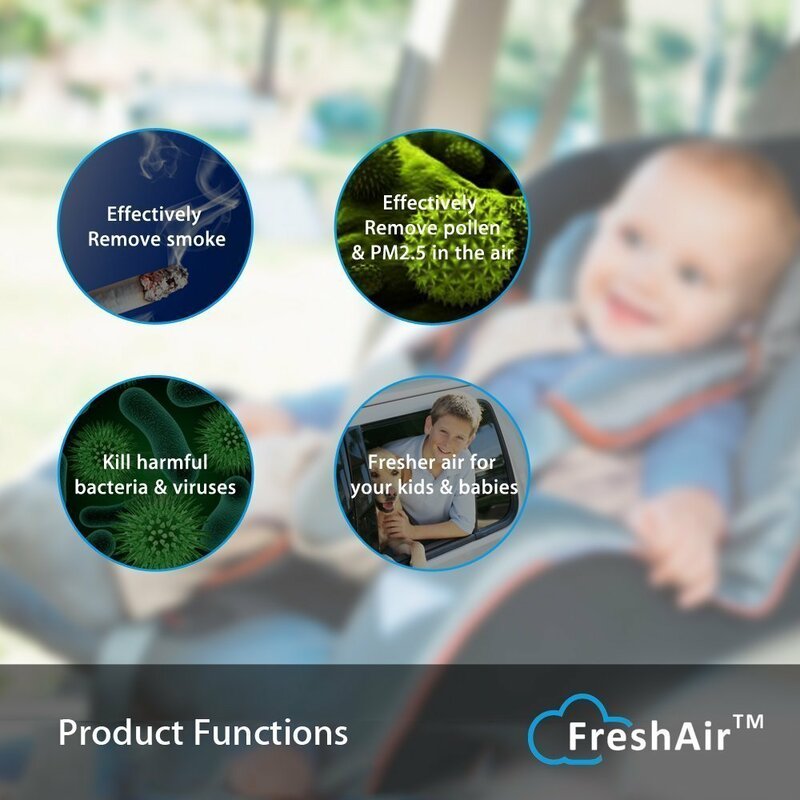 Installing an effective car air purifier will help keep them away from these harmful particles. If you have pets that ride in the car with you, this will also help minimize allergies from pet fur. Some car air purifiers are equipped with HEPA (High Efficiency Particulate Air) filters that help clean the air. HEPA filters can remove about 99.9% of dust particles. On the other hand, there are also disadvantages to having car air purifiers. Some models require constant maintenance and cleaning. While car air purifiers are meant to clean the air, not everything is filtered. For example, particulate matter from brakes, aromatic hydrocarbons, and strong tobacco smells may still linger in your car. Purifiers and ionizers don’t do much in removing smells so you may need to purchase natural odor absorbers such as baking soda and activated carbon. Some purifiers also emit negative ions and ozone as byproducts of filtration, and this can be hazardous to your health. Also, when you have car ionizers, the particles will stick to surfaces in your car, so you may need to do some extra cleaning. 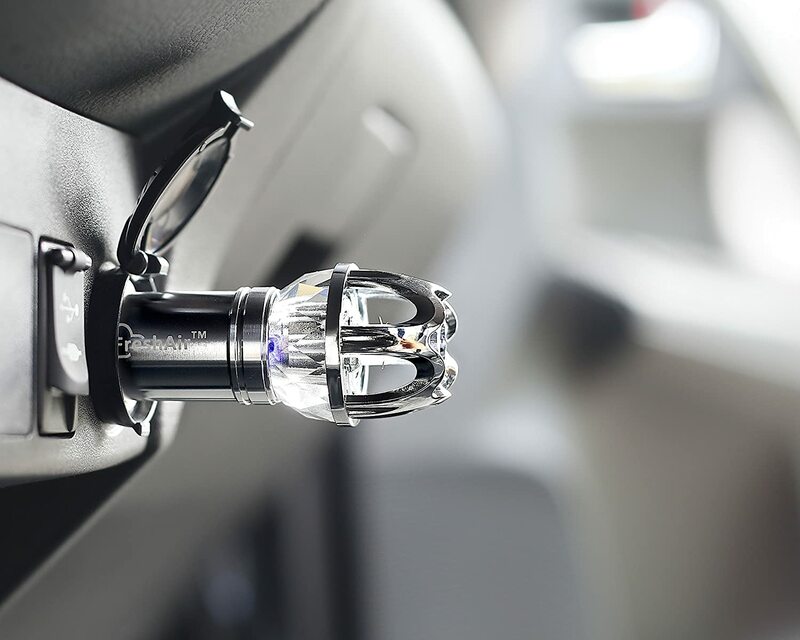 There are many car air purifiers in the market, so we looked around for the top 5 products. We based our recommendations on actual customers’ feedback on the products. Please note that the list is not in any order of preference. This car air purifier and ionizer removes odors such as cigarette smoke, musty smells, and pet odors. It also filters pollen and other air pollutants. It uses modern ionization techniques that not only purifies the air but freshens it. You can easily plug it into the lighter charger to use it. You don’t need to purchase a separate air freshener. It’s easy to use and has good packaging and design. The top came off when pulled out; minus points for durability. The fragrance just masks the smell, but the allergens are not filtered out. 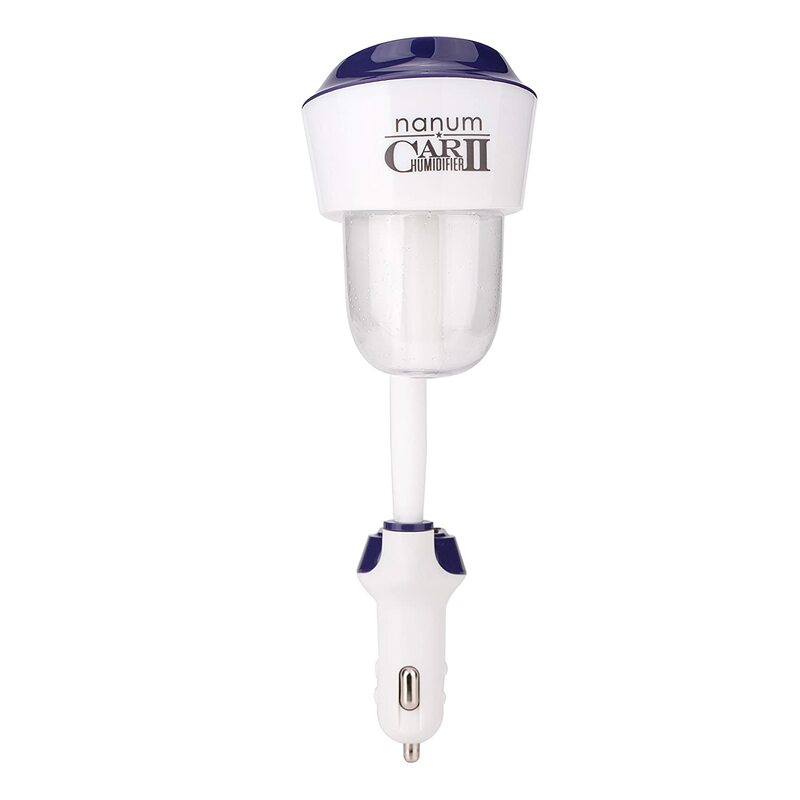 Its compact and attractive design comes with a blue LED light. Not only does it look attractive but it destroys bad odor by neutralizing contaminants such as molds, bacteria, and viruses. It produces negative ions that destroy odor-causing particles from the air such as tobacco smoke and other stale odors. It should be plugged into your cigarette lighter outlet with no more than 12 volts. It works great in neutralizing smells, especially cigarette smoke. It also removes the smell coming from the air conditioner. The LED light apparently “overworks” the device making it have a shorter lifespan. This 4 in 1 device purifies the air in your car, humidifies it during warm weather, and freshens the air. You can rotate it 360 degrees to fully humidify your car. You don’t have to worry about it drying up because it automatically shuts down after 2 hours. Fashionably elegant design and easy to use. You can add fragrance such as aromatherapy oil to act as an air freshener. It also has a USB port where you can charge your phone when it’s attached to the lighter socket. You have to use distilled water or else it will clog up; will be a problem if you don’t have one readily available. You can’t fill it up to the brim or else it will spill. It’s made of plastic so you should unplug it when leaving your car parked under the hot sun or it might melt. It’s good for only 5 hours so make sure you bring distilled water for long trips. 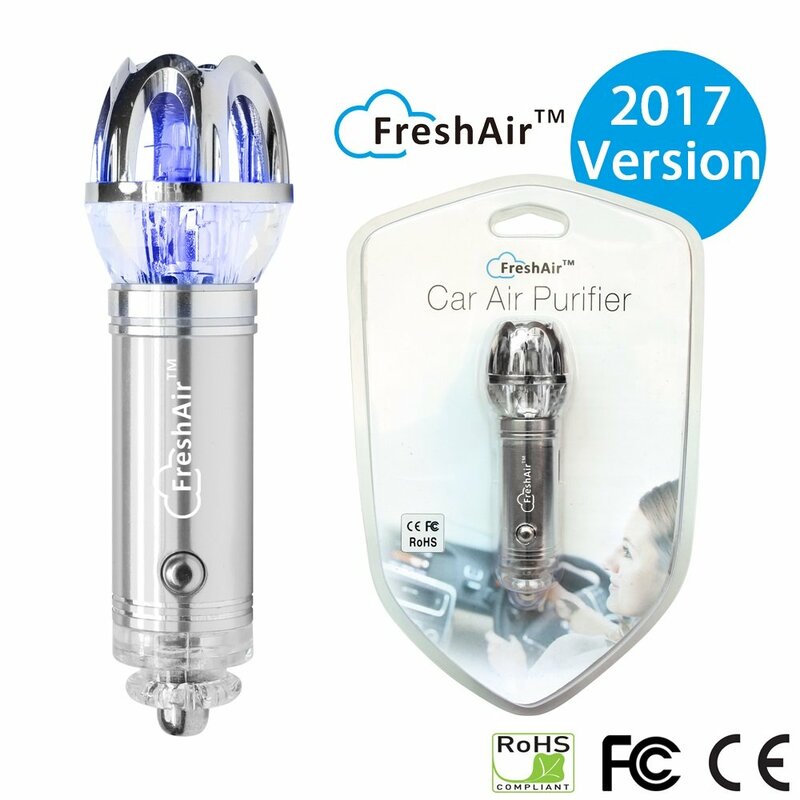 This car air purifier also works as an odor eliminator that removes pet smells, cigarette smoke odor, allergens, and bacteria. It has a fashionable blue LED light that turns on once plugged in. The negative ions concentration is 4,800,000 PCS/cm3 and ozone concentration is 3 mg/h. Remember to keep in a cool temperature within the range of -10C to 45C. You can download a free eBook about car air purifiers. Can purify the air in larger vehicles. Clears out cigarette smoke when you blow it inside your car. The odor got on the ionizer, so you have to replace it. It makes a noisy hissing sound when you’re using it. It sizzles after some time, and you have to push it in to turn it on. 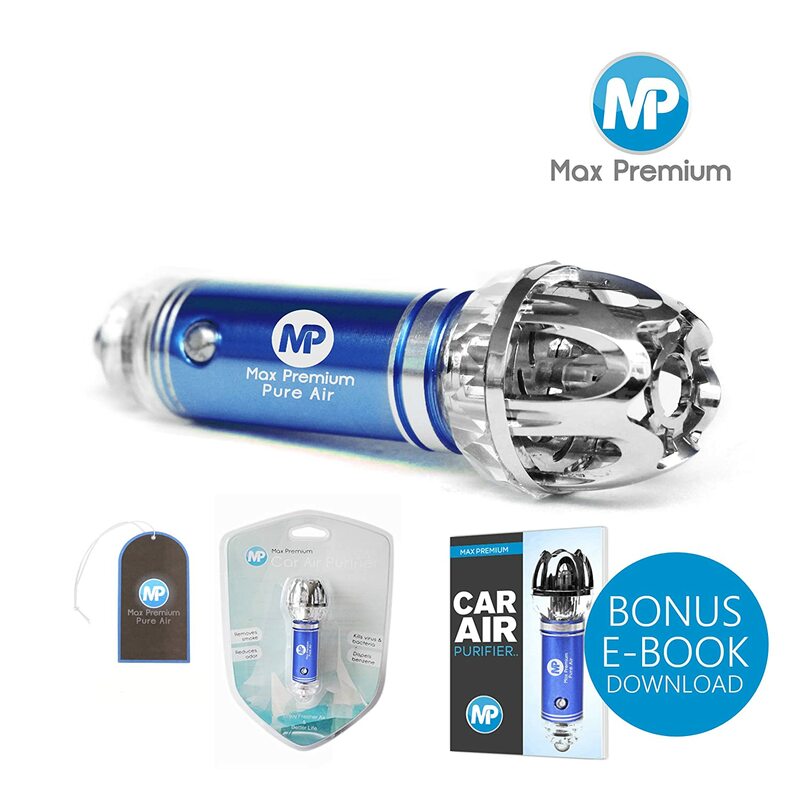 This car air purifier releases 4.8 million negative ions per cm3 to keep the air clean and fresh. It doesn’t require a filter that destroys odor-causing particles. It is certified by the FCC, CE, and RoHS. It is compact and made of aluminum. Works well especially for people who have asthma and allergies. It doesn’t fit all car lighter sockets. It doesn’t work with larger vehicles. It also emits a humming sound when used. Now that we have carefully reviewed the different products plus the qualities that make a good car air filter, we have chosen one which meets all the standards. 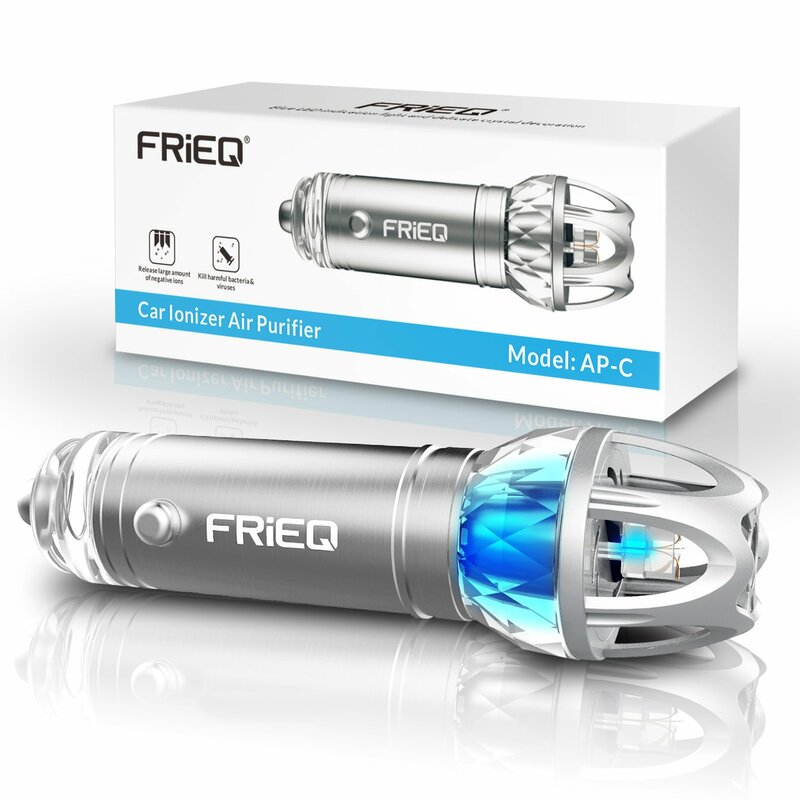 We have chosen FRiEQ Car Air Freshener and Ionic Air Purifier as the best car air purifier among the five. We chose it because it is the most efficient in purifying the air in the car. Although most car air purifiers do not really last long, it also depends on how you use it. 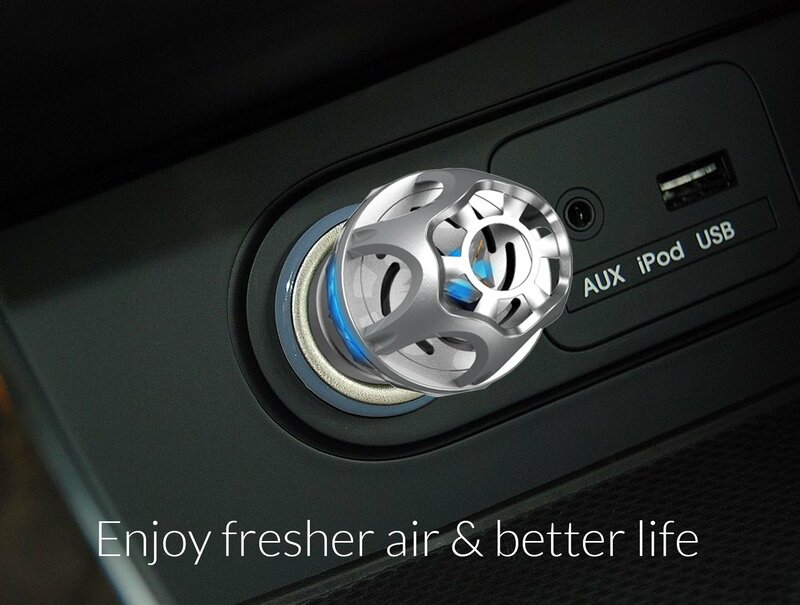 What’s great about this car air purifier is that it can purify the air even with larger vehicles. It effectively removes odor causing bacteria and even cigarette smoke and stale smells. Your car will smell like brand new again. What are your thoughts? Feel free to share this article and leave a comment on what other products you recommend.